After seeing Little Red Lung play The Mint a few years ago, and as well as obsessively playing their self-titled EP religiously, it was inevitable they would become one of my all time favorite band. When Zoe-Ruth Erwin (vocals), Ali Nikou (guitarist), Rob Hume (bassist) and John Broeckel (drums) come together, you instantly become aware they’re not your typical pop band. Each song has a certain flair that separates them from the masses and you realize not only are they talented musicians but true artists. 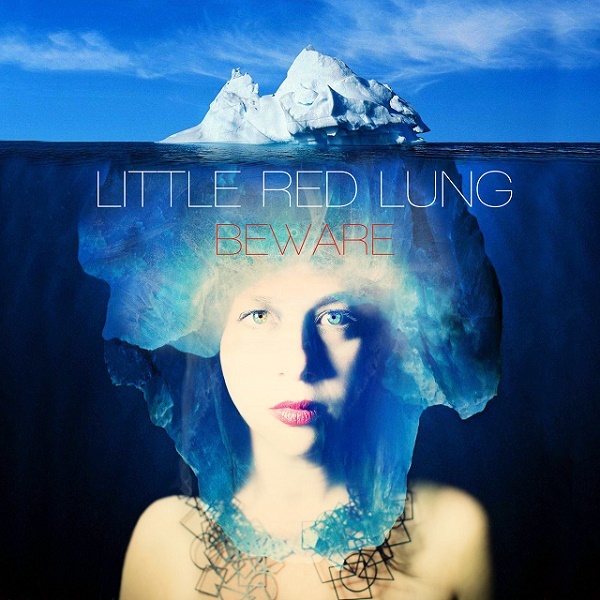 For the last few months Little Red Lung have been leaving hints of new music on Instagram, Facebook and Twitter. Each snippet would fill my musical heart with so much joy! And now the wait is over. To sum it mildly, ‘Beware‘ is simply captivating, soulful and hauntingly beautiful. Imagine the passion of Tori Amos with the mix of Florence Welch’s vocal range you have Zoe-Ruth Erwin. My biggest problem with Beware was trying to figure out my favorite song. Granted radio friendly songs like Porcupine Sheet and Get On The Boat were great but I wanted to find that song that spoke to me. And then it hit me there was one song in particular I would play constantly…..Bell Tower. And it was clear Bell Towers is the best song on the album. As a collective whole the band creates this majestic haunting sound that seems to elevate Zoe’s voice. And vocally this is the strongest song…..its powerful yet soft. Some singers would lose too much control and exaggerate certain notes. I find its Erwin’s control that takes you to the very edge but Zoe brings you back. The fourth song on the album, Dead Weight was originally my favorite followed by Civilian Tiger. This album has been on repeat while I work and when I get home to relax. A new album means we get more live shows! I cannot wait to see Little Red Lung again because they put on a great show and I always leave with a smile on my face. As usual South by Southwest was filled with new bands to add to my play list but one band in particular, Circa Waves, caught my eye not only because they were really talented and have great songs but simply because at every time I saw them they had technical difficulties. Honestly, it should have turned me off but the complete opposite effect occurred. The first time was at the British Music Embassy the Bass amp blew out and they had to end the show early and couldn’t play their new single T-Shirt Weather. So instead of moving on to the next band I was determined to hear this song! Which leads me to the second time at the Dr. Martens showcase the bass went out half way through a song but was able to get it back and they continued on like champs. Yes, while standing under the giant tent trying to avoid the rain and not slide in the mud I officially became a fan! And on the last night, while making plans my friends and I knew we had to end our SxSW Adventures with Circa Waves and see their last showcase at the #Uproxx house. Two songs into the set, the lead singer’s mic went out but don’t worry the guitarist mic was working perfectly and he just switched sides. Despite all their issues Circa Waves played beautifully. I hope they come back to the US and everyone gets a chance to see how amazing these guys are. Their debut album, Young Chasers will be released on Tuesday, March 30th. 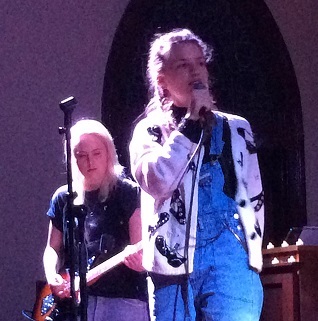 Had a chance to to see Sweden’s Tove Styrke perform at the Communion Music showcase the St. David church. With her brand of style she kicked off the showcase with an energetic set. Personally, I plan to add a few songs to my workout set list. If you enjoyed this video, Tove is kicking off a 21 city tour in parts of the UK and USA this spring! No doubt Matthew Mayfield is one of my favorite singer-songwriters of all time. I can listen to him play and share funny little antidotes all day long. Yesterday I was able to catch his set at the Chuggin’ Monkey, despite the loud patrons he played an amazing set. Check out the video of Mayfield performing ‘Wild Eyes’, which is also the title of his new album. And in case you’re wondering its an AMAZING album! And if you get a chance, please check him out during his Wild Eyes Tour. The first show of my SxSw 2015 adventures began with the band Until The Ribbon Breaks. It was a band my co-SxSWconspirator highly recommended and I’m so happy she did. Their music reminds me of Maroon 5, the Songs About Jane era with a mix of 1988 Bobby Brown and Teddy Riley with an updated sound – its a great mix. Whether you want to or not you will be dancing and wishing the party would not stop. Looking around I knew it was not the free vodka that had the crowd going it was electrifying performance from UTRB. Check out video of Until The Ribbon Breaks performing their song ‘Perspective’ at the Holy Mountain showcase. 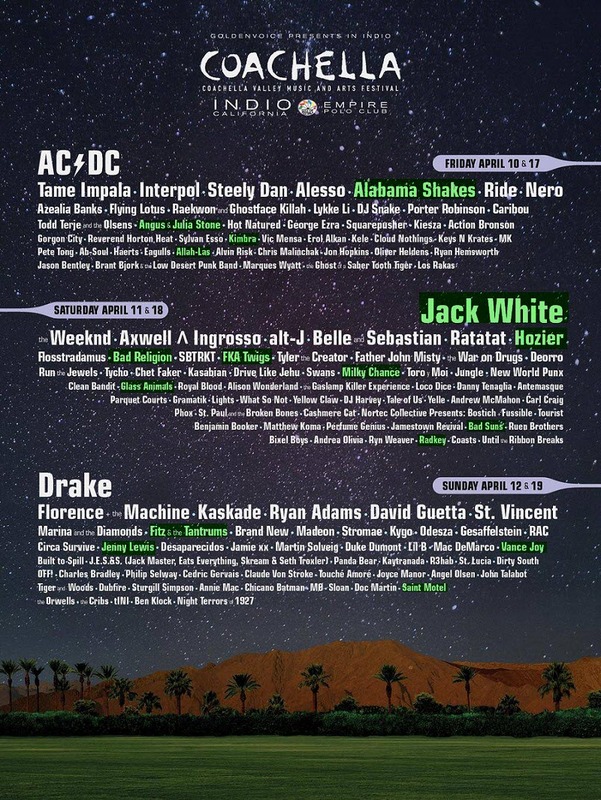 Today the official Coachella Valley Music and Arts Festival line up was announced! Over the weekend Little Red Lung teased a new video and today my Christmas finally arrived for me! The song performed is a cover of Jim Croce’s Time in a Bottle, which was filmed in L.A.’s Blaster Master Productions studios. 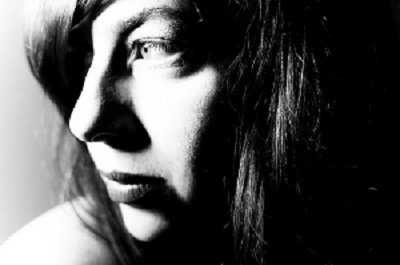 When Zoe of Little Red Lung sings – I listen! Her voice is delicate yet strong, she makes you feel so many emotions. I simply cannot wait for the new album.